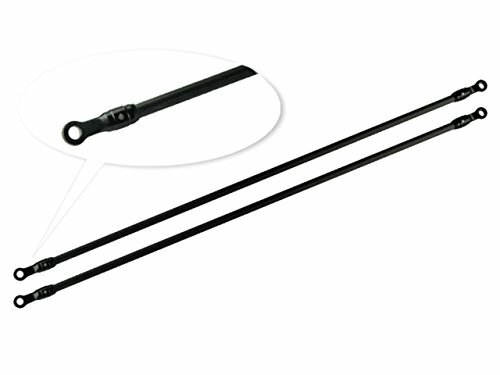 The 2mm Carbon Tail Boom Support set is specifically designed and optimized for improvements in rigidity, durability, tail control performance and overall performance on the Blade 200 SR X helicopter. 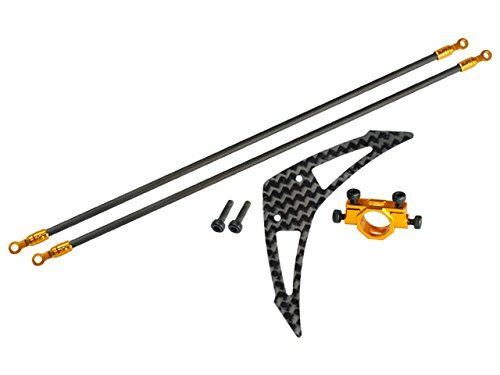 The 2mm Carbon Tail Boom Support set is an extremely efficient and excellent support set for the Tail Boom and the Frame with a significant increase in Tail rigidity from Precision CNC Aluminum 6061-T6 and Carbon Fiber Rods for the best Tail support; as well as bringing the best rigid and strong platform for the Frame making an anti torsion effect for the best possible flight performance. 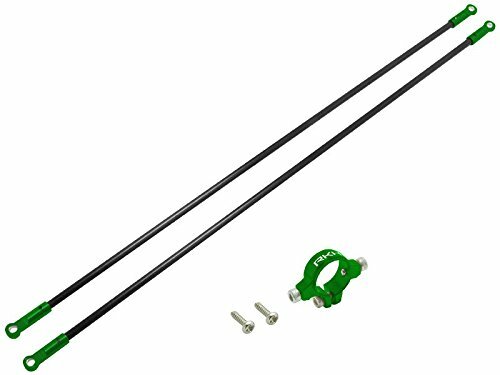 Rakon Blade 230S CNC AL Tail Boom Support Set (Green) - 230S812-G 1. Description:- Designed to support the Main Frame and the Tail Boom. - Material: Aluminum alloy.- Optimized for weight and durability. 2. Usage:- Use for Blade 230 S. 3. Weight:- CNC AL Canopy Mount Set: 2.73(g) = 0.096(oz). 4. Included: - CNC AL Tail Boom Support (1set). Rakon Blade 230S CNC AL Tail Boom Support Set (Purple) - 230S812-V 1. Description:- Designed to support the Main Frame and the Tail Boom. - Material: Aluminum alloy.- Optimized for weight and durability. 2. Usage:- Use for Blade 230 S. 3. 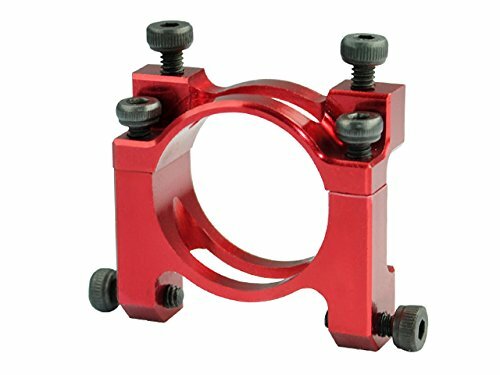 Weight:- CNC AL Canopy Mount Set: 2.73(g) = 0.096(oz). 4. 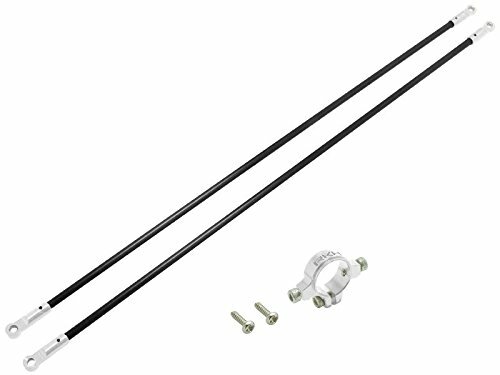 Included: - CNC AL Tail Boom Support (1set). The Aluminum/Carbon Tail Boom Support set is specifically designed and optimized for durability, stability and overall performance on the Blade 180 CFX helicopter. The Tail Boom Support set is an extremely efficient and excellent support set for tail boom and frame with a significant increase in tail rigidity from precision CNC aluminum 6061-T6 and carbon rod material for the best tail support; as well as bringing the best rigid and strong platform for the frame making an anti torsion effect. Rakon Blade 230S CNC AL Tail Boom Support Set (Silver) - 230S812-S 1. Description:- Designed to support the Main Frame and the Tail Boom. - Material: Aluminum alloy.- Optimized for weight and durability. 2. Usage:- Use for Blade 230 S. 3. Weight:- CNC AL Canopy Mount Set: 2.73(g) = 0.096(oz). 4. Included: - CNC AL Tail Boom Support (1set). The Aluminum/Carbon Fiber Tail Boom Support Mount set was to optimize for rigidity, stability & durability of the Blade 230 S/ Blade 250 CFX helicopter. 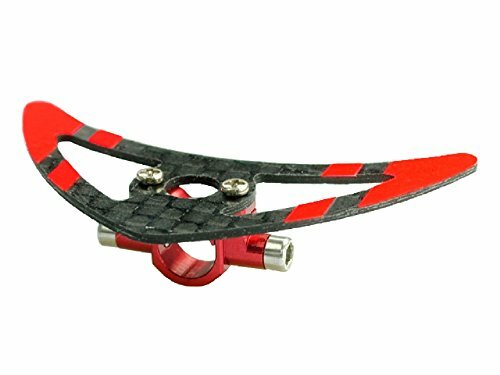 The Aluminum/Carbon Fiber Tail Boom Support Mount w/ Fin provides a significant increase in Tail Boom rigidity, from CNC Aluminum & Carbon Fiber material, & keeps increase grip, reduced vibe & the ultimate Anti-Rotation for optimal flight performance. The Aluminum/Carbon Tail Boom Support set is an extremely efficient & excellent support set for Tail Boom & Frame, from CNC Aluminum & Carbon Rod material for the best Tail support, as well as the best rigid & strong platform for the Frame making an anti torsion effect. The Aluminum Tail Boom Support Mount w/ Fin is specifically designed and optimized for improvements in rigidity, stability, durability and overall performance on the Blade 200 SR X helicopter. The Aluminum Tail Boom Support Mount w/ Fin design provides an upgrade with a significant increase in tail boom rigidity from CNC Aluminum 6061-T6 and Carbon Fiber which helps to keep increase grip, reduced vibe and the ultimate Anti-Rotation for optimal flight performance. 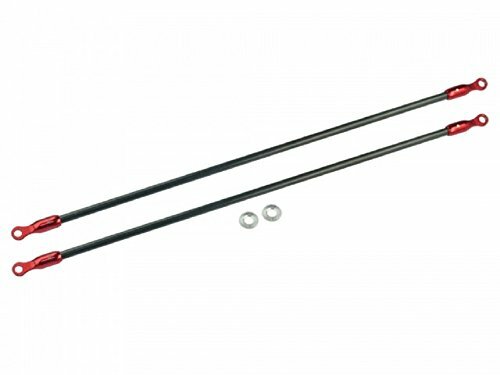 Compare prices on Tail Boom Support at LiveSaler.com – use promo codes and coupons for best offers and deals. We work hard to get you amazing deals and collect all avail hot offers online and represent it in one place for the customers. Now our visitors can leverage benefits of big brands and heavy discounts available for that day and for famous brands. We try to makes comparison shopping easy with Product Reviews, Merchant Ratings, Deal Alerts & Coupons. Find Deals, Compare Prices, Read Reviews & Save Money.